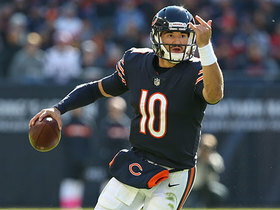 Analysis: The seventh overall pick from the 2015 NFL Draft caught 25 passes for 285 yards in 14 games across four seasons with the Bears, suffering major injuries his first three years and ultimately closing out his tenure as a healthy scratch in the playoffs. 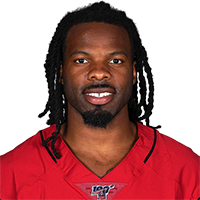 He'll likely need to compete for a spot on the 53-man roster in Arizona, where the presence of new coach Kliff Kingsbury gives White some hope he can contribute to a pass-first offense, per Kyle Odegard of the Cardinals' official site. Analysis: Injuries have been the bane of White's existence since he was selected seventh overall in the 2015 draft. Over the course of five seasons, he's been limited to 14 appearances, nine of them coming last year. No matter, he made just four catches (on eight targets) for 92 yards in 2018. The Cardinals are in need of wide receiver talent behind Larry Fitzgerald and Christian Kirk (foot), but White would be more of a project than anything, wherever he lands. 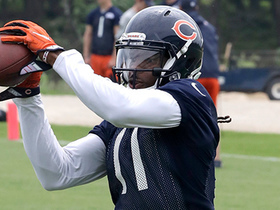 Analysis: The best news for White was that he stayed healthy for the first time in his career, but unfortunately, he rarely saw playing time as the Bears' fifth wide receiver. Headed for unrestricted free agency, he'll likely latch on somewhere as he tries to revive a career that was filled with promise after he was selected in the first round of the 2015 draft, but until this point he's played 14 games and caught 26 passes for 285 yards. Analysis: White will be a healthy scratch for a second straight game. He has only played five snaps over the last five weeks. Analysis: This will be the third time in five weeks that White is a healthy scratch. The 2015 first-round pick has just three catches for 70 yards this year. The Bears will suit up just four wide receivers. White is listed as active Thursday at Detroit, Kevin Fishbain of The Athletic reports. 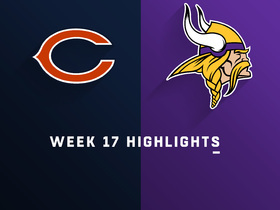 Analysis: Suiting up for just the second time in four contests, White has a few hurdles to overcome to get involved in the Bears offense. Not only is the receiving corps intact, but Chase Daniel will be the signal-caller instead of regular starter Mitch Trubisky, who is unavailable due to an AC joint sprain in his right throwing shoulder. On the season, White has exhibited a rare big-play threat, averaging 14 YPT on his five targets across seven games. 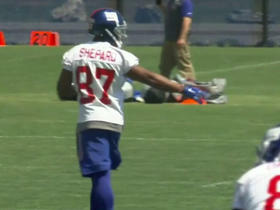 White (coach's decision) is inactive for Sunday's game against the Lions, Rich Campbell of the Chicago Tribune reports. Analysis: White will be a healthy scratch for a second straight game after also being kept to the sideline Week 9 versus the Bills. He's caught just three passes all season and has yet to carve out a role in the Bears' offense. White (coach's decision) is inactive for Sunday's game against the Bills. 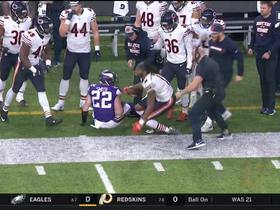 Chicago Bears quarterback Mitchell Trubisky airs the ball out on a Hail Mary attempt and wide receiver Kevin White comes down with it at the 1-yard line, but is immediately tackled. 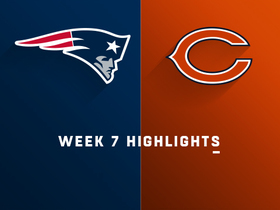 NFL Network's Stacey Dales reports the latest from Chicago Bears' training camp, detailing which players are standing out, and why they have reason to be optimistic heading into the preseason. 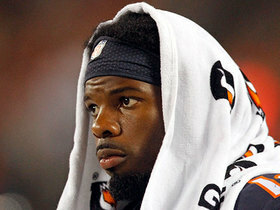 NFL Media Insider Ian Rapoport reports on Chicago Bears wide receiver Kevin White's Week 1 injury. 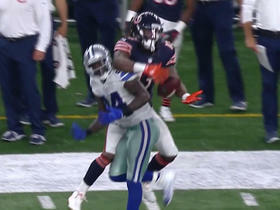 Chicago Bears wide receiver Kevin White comes down with 32-yard catch over Dallas Cowboys cornerback Morris Claiborne. 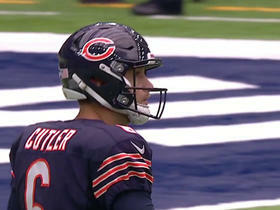 Houston Texans safety Andre Hal intercepts Chicago Bears quarterback Jay Cutler. Michael Fabiano, Matt Smith, and Akbar Gbajabiamila take a look at some of the young play makers expected to perform during the 2016 Fantasy season. 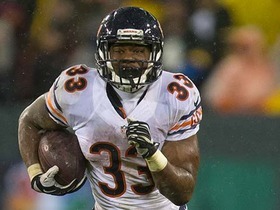 NFL Media's Stacey Dales reports from Chicago Bears training camp, where it is unclear who will be the team's starting running back.